Northwest Propane Gas Company offers unmatched propane delivery and installation services for homes and businesses in Carrollton, TX and the surrounding area. For many, propane is the fuel that drives their day. Whether you use propane for heating your home or business, powering forklifts in your warehouse, or running your fleet vehicles with the cleanest and most abundant alternative fuel available, Northwest Propane is here and ready to take care of your propane needs. We are dedicated to ensuring our customers have propane fuel and service when and where they want it. To learn more about what all we offer, call us at 972-247-6121. Carrollton is a city located right between Dallas, Denton, and Collin counties. As one of the biggest cities in Texas, Carrollton has a lot to offer. Many large companies such as Halliburton, Baylor Medical Center, and Hilton Reservations Worldwide call Carrollton home. The city has a highly rated school district and many great community events to attend. Northwest Propane is proud to be the most trusted propane gas company in Carrollton! 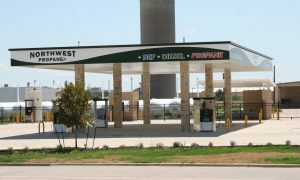 If you need a propane gas company in Carrollton, TX, you won’t find better service than Northwest Propane Gas Company. Contact or Call us at 972-247-6121.